“Our core aim in reviewing the law is to ensure that responsible journalism, academic and scientific debate and the valuable work of non-governmental organisations are properly protected, and that a fair balance is struck between freedom of expression and the protection of reputation. We want to ensure that the right balance is achieved, so that people who have been defamed are able to take action to protect their reputation where appropriate, but that free speech is not unjustifiably impeded“. At an event marking the first anniversary of the “Libel Reform Campaign”, Justice minister Lord McNally said that English libel law is “not fit for purpose”. He went on to say that corrected the problems with the current law through the Government’s draft Defamation Bill – due in the spring – would be a point on which he would measure his ministerial career. He said that the Coalition Government hopes publish a draft Defaamation Bill for consultation in March 2011. Almost 43 per cent of respondent publishers had withdrawn a publication as a result of threatened libel action. It is difficult to know what to make of these raw figures: for example, how many years do they cover and to what extent were the modifications sought proper and justified ones? It will be interesting to see the full survey results which are due to be published in January 2011. The well known media law firm Carter Ruck has agreed to represented freelance journalist Hardeep Singh on a CFA. Although he was successful before Mr Justice Eady (His Holiness Sant Baba Jeet Singh Ji Maharaj v Eastern Media Group ( EWHC 1294 (QB)), the Court of Appeal have given permission to appeal and the matter is listed before the Master of the Rolls, Sedley and Hooper LJJ on 28 February or 1 March 2011. There is a report in the Press Gazette. The free weekly Sport Magazine has agreed to pay former FA chairman Lord Triesman “substantial damages” after reporting that he was involved in “corruption”. The Statement in Open Court can be found here and there is a report in the Press Gazette. The Times has apologised and paid damages to sport psychologist Roberto Forzoni after reporting that he had to leave his job at the Lawn Tennis Association because players had lost confidence in him. There is a report in the Press Gazette. “that we persuade ourselves that Wikileaks-style transparency is a substitute for investigative journalism rather than the precursor of journalistic possibilities“. On 9 December 2010, Mr Justice Eady handed down judgment in Lait v Evening Standard (No.2) ( EWHC 3239 (QB)). Judgment was entered for the defendant on the grounds that her defence of “fair comment” (as it now not known) was “bound to succeed”. There is a post about the case on the “Greenslade blog” and a report in the Press Gazette. The Irish Times reports that the “Sunday World” has apologised before the High Court to a businesswoman who sued it for libel over articles related to the laundering of the proceeds of the IRA’s £26.5 million Northern Bank robbery in 2004. The settlement was reached just after 5pm after the jury had been out for more than an hour considering their verdict. The jury was then called in to be informed the case had been settled. In Channel Seven Sydney Pty Ltd v Mahommed  NSWCA 335 the New South Wales Court of Appeal (Spiegelman CJ, Beazley JA,McColl JA, McClellan CJ at CL, Bergin CJ in Eq) gave judgment allowing an appeal in part against a defamation award of Aus$240,000. The court conducted a comprehensive analysis of the principles which apply to the assessment of defamation damages and decided that evidence of post-publication material which goes to the plaintiff’s reputation was admissible to ensure that the damages awarded accurately reflect the plaintiff’s reputation at the time damages are awarded. The award was reduced to Aus$125,000. We note that the judgment was given 9 months and 2 days after the hearing. In Al-Shennag v Statewide Roads Pty Limited & Anor  NSWSC 1412 McCallum J dismissed the plaintiff’s application to have defences struck out. In Con Ange v Fairfax Media Publications Pty Ltd & Ors  NSWSC 1383 Garling J dismissed the plaintiff’s application to dispense with a jury at trial. The Sydney Morning Herald reports that school principal who was falsely accused of forgery during a Parents and Citizens Association meeting wasawarded Aus$80,000 in a defamation claim against the Parents and Citizens Association President. David S. Ardia of Harvard Law School’s Berkman Center for Internet & Society has posted to SSRN his paper titled Reputation in a Networked World: Revisiting the Social Foundations of Defamation Law. The Article concludes that we should take as our touchstone that reputation is a societal interest and devise remedies that leverage the power of communities to deal with reputational harm. Once again, this will be the subject of a separate post. We apologise for the delay in posting these round ups. We draw attention to the Inforrm, Media Standards Trust, Gray’s Inn event on 11 January 2011: “Libel Reform: in the Public’s Interest?” This a subject of a post here. The CRITique blog has a post entitled “#TwitterJokeTrial: a deconstruction of a statutory provision” examining section 127(1)(a) of the Communications Act 2003 (the provision relied on in the Paul Chambers case). 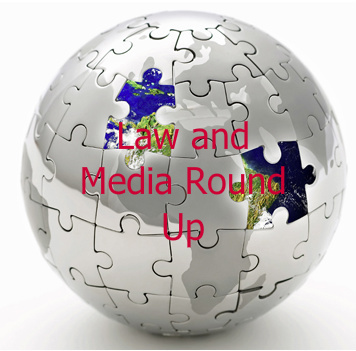 Judith Townend has an interesting post on “Injunctions and how the media find out about them” on her Meeja Law blog. This discusses the case of Re Jane (a child)  EWHC 3221 (Fam) in which Mr Justice Holman restricted the operation of an injunction to those notified of the application in advance. The New Zealand blog “Media Law Journal” has a third post on “Pike River Privacy” – setting out the reply from Dr Nicole Moreham supporting her argument that the grieving relatives at Pike River, caught on camera shortly after being told that all 29 miners were certainly dead, could successfully sue for invasion of privacy and blogger Steven Price’s response. On Monday 13 December 2010, Mr Justice Tugendhat will give judgment in the case of Smith v ADVFN Plc & ors (heard on 3 December 2010). Clift v Slough BC heard 23 and 24 June 2010 (Ward, Thomas and Richards LJJ).